There are loads of cooking shows on TV. A lot are competitions, which, make no mistake, are very interesting to watch. But sometimes watching these shows take the fun out of cooking because the contestants cook under pressure and, with too much exposure, you'd think cooking was such a chore and you have to be perfect at it! This is where the fun cooking shows come in, those which actually teach you how to cook! 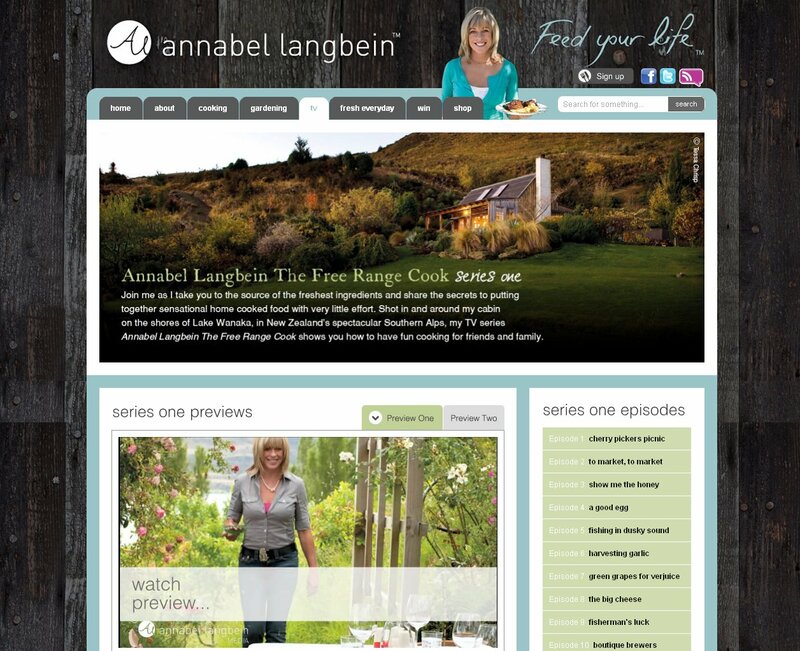 We are currently enjoying the weekend show Annabel Langbein: Free Range Cook. She prepares the most delectable dishes, all in the ambience of a rustic countryside. But better be prepared for a pen and paper if you'd like to get the recipe (or record the video!). One episode usually presents three recipes so it's always a treat to watch. Her book and DVDs are also quite popular as I have been on the lookout for those at the local library and they're always out. She has a website, which is good, but not everything shown on TV is there. The crispy pork chop recipe, for example, is noticeably absent. I was able to jot down the recipe from the TV series though and we had actually bought the meat to cook it some time back but it ended up as lechon paksiw! Not that I'm complaining, I love lechon too. Still, there are nice recipes offered in the website so it's still worth visiting The Free Range Cook website. Or catch her on TV One.